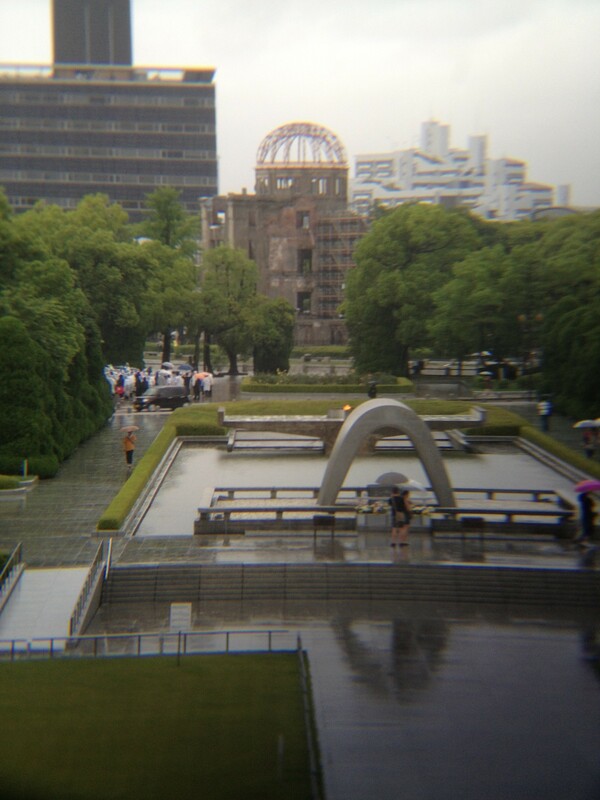 Gray, foreboding, and cloudy skies welcomed our group to the Peace Memorial Museum and Park in Hiroshima. After a rather quick guide through the museum, we were sitting in a room, listening to the chairman of the museum talk about world peace. A world without nuclear weapons. 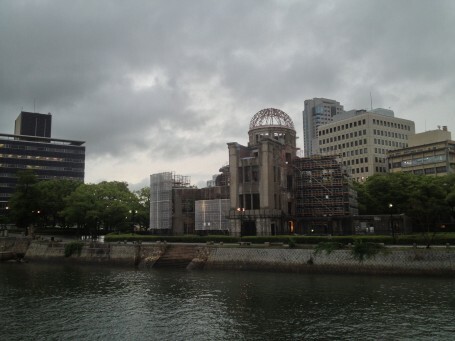 That is the desire of the survivors of the atomic bombing of Hiroshima. No revenge, no atonement. They just want a simple promise. World peace is no easy feat, and they realize that. Years, decades, or generations, no one knows how long it will take, but the survivors just want a promise: avid work from now until a time where a world without nuclear weapons is established. Our current security measure of giving threats is no real security measure and can cave in at any moment. Thus these surviving members just want a world with a security measure that revolves around peace and understanding, not fear and threats. This is their message and the message the chairman wants spread throughout the museum. This trip had a great impact on me. The rainy skies and gloomy weather reflected my state of mind as I walked out of the room and museum, deep in thought and reflection. However, just as you exit the museum, there is a memorial park with three significant structures that also reflected my state of being in a more concrete manner. The chest that holds the names of all the fallen citizens of Hiroshima represents to me the people I carry in me and live for. Both alive and dead, there are people who pinned hopes on me. Just as this chest holds names, I felt I have an obligation to try my best for those people who believe in me. After our discussion with the chairman, I feel we all have an obligation to search for world peace. But as the chairman indicated, world peace must start with ourselves and our interactions among our family, friends, and immediate surroundings. The fire that represents the will and strength to find a way to live on earth without nuclear weapons represents for me the will and strength to move forward with dreams of those who believe in me. Dreams are small and large, short and long. Whatever the dream may be, the fire to see that dream through shall not extinguish until the dream is accomplished. The ruins of the atomic dome, to me, represent the eternal skeleton. Through all adversities, be they large or small, a core structure will remain. This core will be the hope for a new life, and with a little reconstruction, success can flourish anew. War is a terrible thing. After visiting Pearl Harbor before this summer, I had felt that there is always one loser and one winner in war, with little or no casualties. Now, having been to both Pearl Harbor and Hiroshima, I have seen that war leaves everyone hurt and pained. That is why the message of peace that the survivors are pushing is an excellent proposition. Let’s work toward a future that is devoid of nuclear weapons and has a better world security policy.